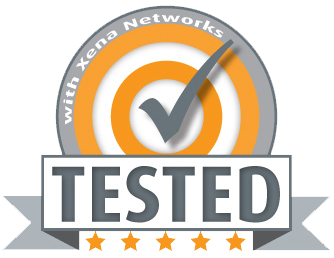 Xena provides a script-based implementation of the RFC 2544 test suite framework, which performs four kinds of tests for a range of packet rates and packet lengths across a collection of ports. You use it by filling in various cells with a light-gray background and clicking on some buttons on the spreadsheets. You then click the “CONNECT” button, which reserves the ports and downloads some port-level property values that you can modify if needed. The spreadsheets can be customized at will, for instance by adding more extensive reporting using all the available features of Excel. The script code can also be inspected and modified.